The proceedings in the courts of law must be reported by the correspondents with legal background and accredited to the Courts to avoid misquoting of court proceedings, the Bench said. 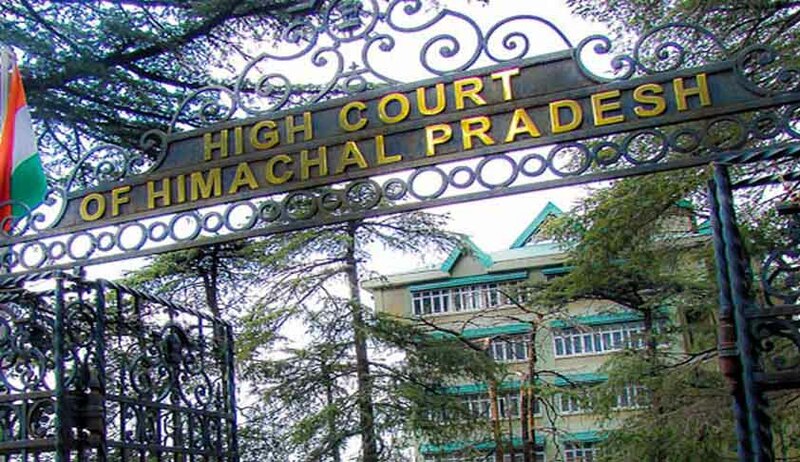 The High Court of Himachal Pradesh has closed contempt proceedings against a journalist after accepting his unconditional apology for misreporting the court orders, with a warning that in future he should be more careful and responsible by providing fair, accurate and impartial information. The bench comprising of Justices Rajiv Sharma and Sureshwar Thakur in a surprise move, also directed the state of Himachal Pradesh to prepare a welfare scheme to improve the service conditions of the Journalists and create a corpus to pay pensionary benefits to those Journalists, who have spent at least 30 years in journalism. Earlier this month, the High Court had come down heavily on ‘The Tribune’, for indulging in repeated misquoting and misreporting of the orders. The bench had also said that newspapers must report an order of the Court as it stands, instead of creating sensation. The bench has also directed the registry to draw contempt proceedings against the local correspondent of the daily edition of The Tribune and to issue notice. The court referred to various case laws and made the following observations on how journalists should cover court proceedings. The journalists must take necessary precautions, more particularly, while compiling the court proceedings. Ordinarily, oral observations made by the learned Advocate and Hon’ble Judges may not be carried in the newspapers. Judges must accept healthy criticism of the judgments but the Judges should not be criticized. Reporting of the court proceedings of the pending cases before the courts of law commands utmost responsibility and sincerity. The proceedings in the courts of law must be reported by the correspondents with legal background and accredited to the Courts to avoid misquoting of court proceedings. The court also made an observation that people (?) cannot be permitted to comment upon the conduct of the Court in the name of fair criticism, which, if not checked, the same would be detrimental to the institution itself. The role of the Court is to maintain the majesty of law and to permit reasonable criticism. The bench said “print media integrates/assimilates people and harmonizes their living. It moulds opinion and also induces changes. The role of Press is also to generate healthy debate and discussion. India is one of the 10th largest publishers of the newspapers. Indian Press has played a very important role in the country’s struggle for freedom. The reporting must be error free, actual and based on factual information. It should be objective and interpretive in order to reach the truth and significant facts and separate truth from falsehood. The Journalist’s views should be without prejudice. There should be clarity of expression. He has to undertake research. He, as a sociologist, has to feel the pulse of the society to usher new era. He has to garner public opinion against the evils in the society and how to eradicate them. In order to ensure that there is accurate reporting of the court proceedings, the Journalists/Reporters should be well conversant with the legal terms and are expected to peruse the judgments/orders of the Courts of law. Fearless and independent press is essential to strengthen and nurture the democracy”. It is really a surprise that the court, in a contempt proceedings against, recommended the Government to prepare a welfare scheme to improve the service conditions of the Journalists and create a corpus to pay pensionary benefits to those Journalists, who have spent at least 30 years in journalism. These suggestions/recommendations are necessary to provide security and fearlessness in their professional pursuits. The court however clarified that, pension should be made applicable to only those journalists, who have spent 20-25 years in the field of active journalism. The court also said that it holds the Tribune to highest esteem and it’sEditorial and the Articles are world class. The contribution of the Tribune before and after independence remains unparalleled. It has kept and maintained the highest standard of journalism. The Tribune has also moulded our careers and we have no hesitation in admitting that it has acted as a philosopher, guide and mentor to us. We start our day by reading the Tribune in the morning. When we go out during vacations and come back, the first thing which we do is to catch up with the Tribune in order to be with the time and space, the court said.